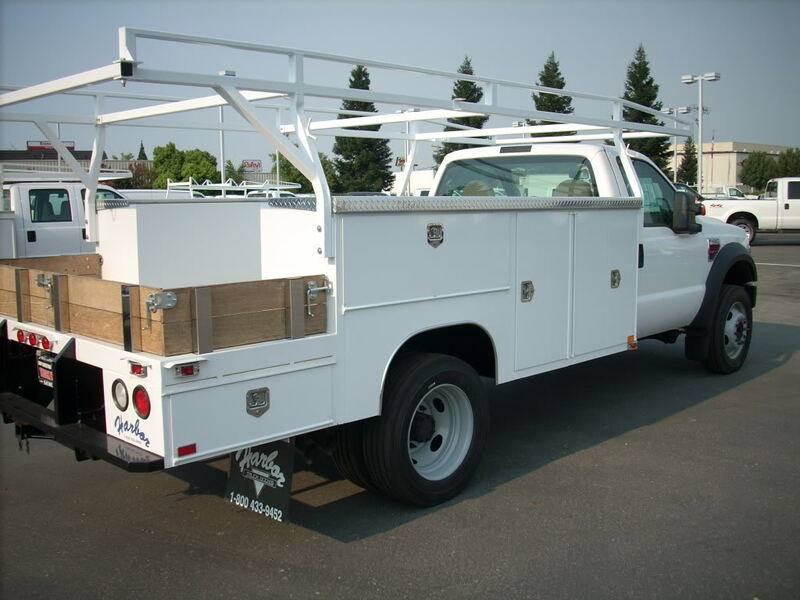 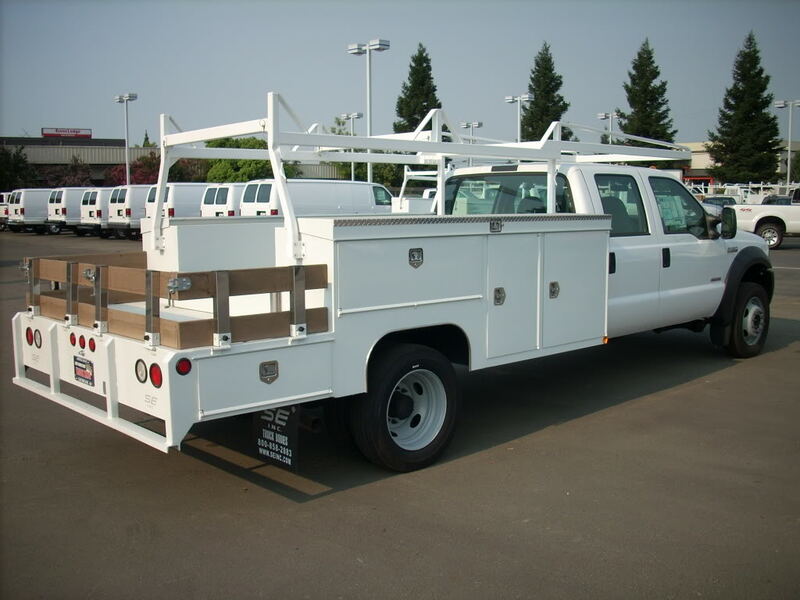 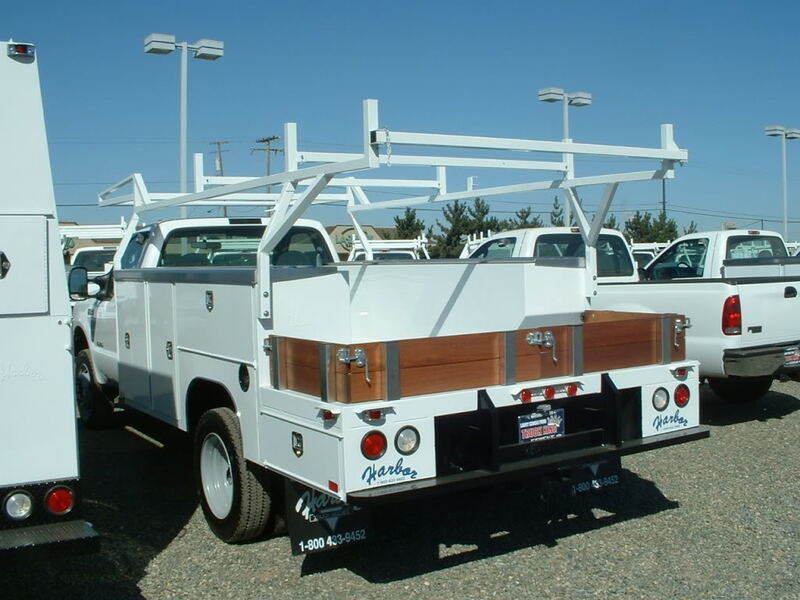 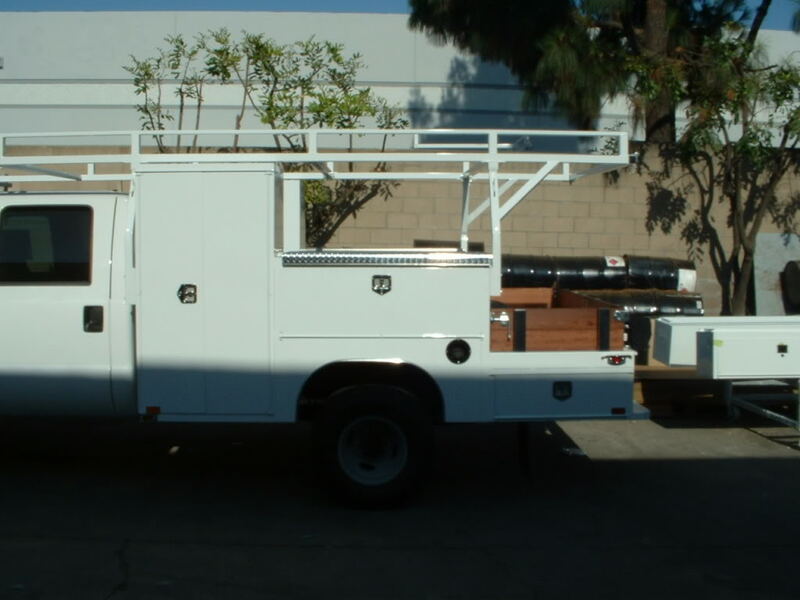 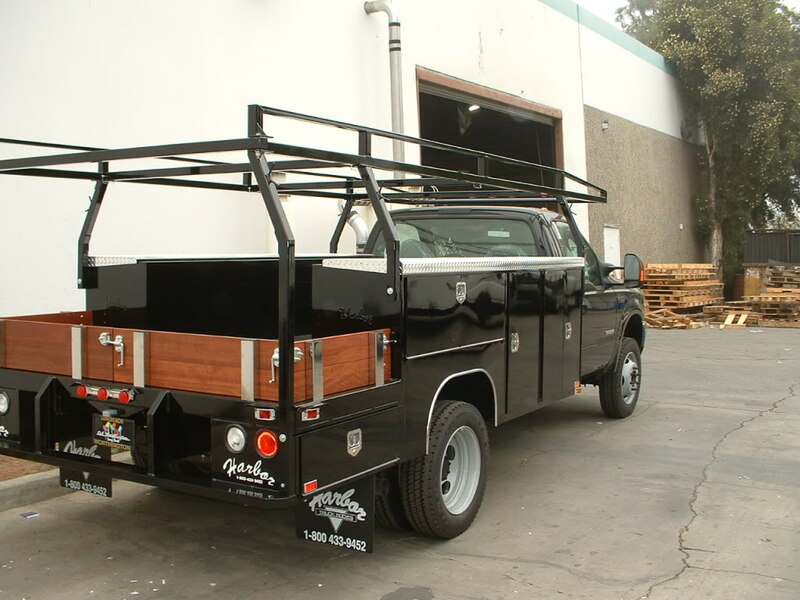 The Combo Body is a Service Body where the rear compartments have been removed and the floor is extended about 3′ to create a very nice work platform. 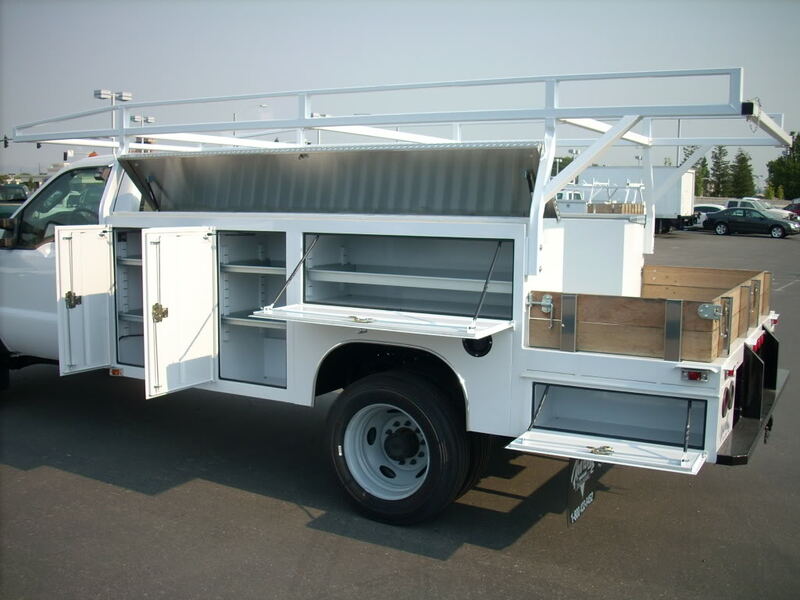 It usually comes with short gates around the platform to help keep things in the bed area where they should stay. 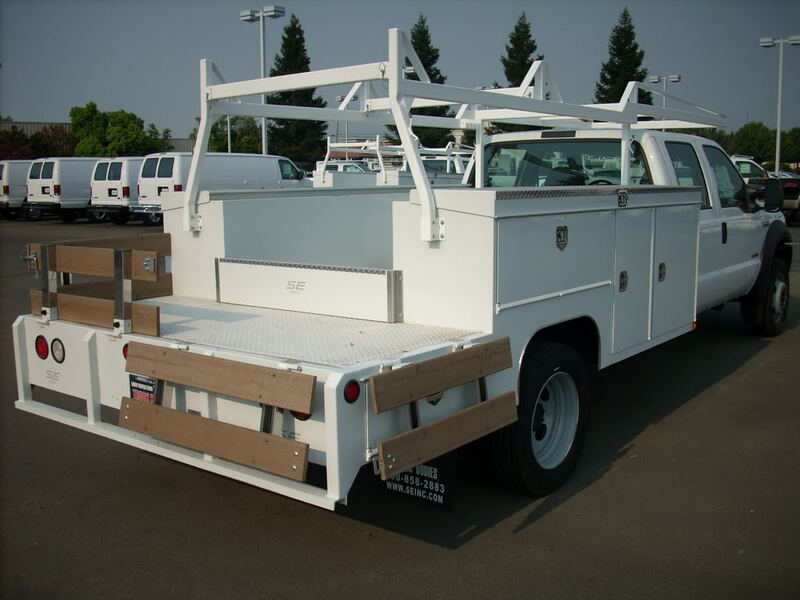 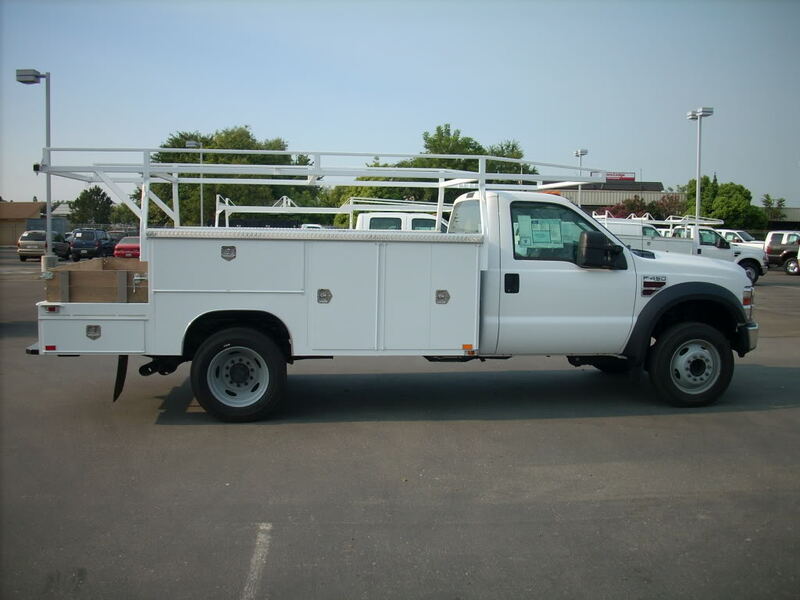 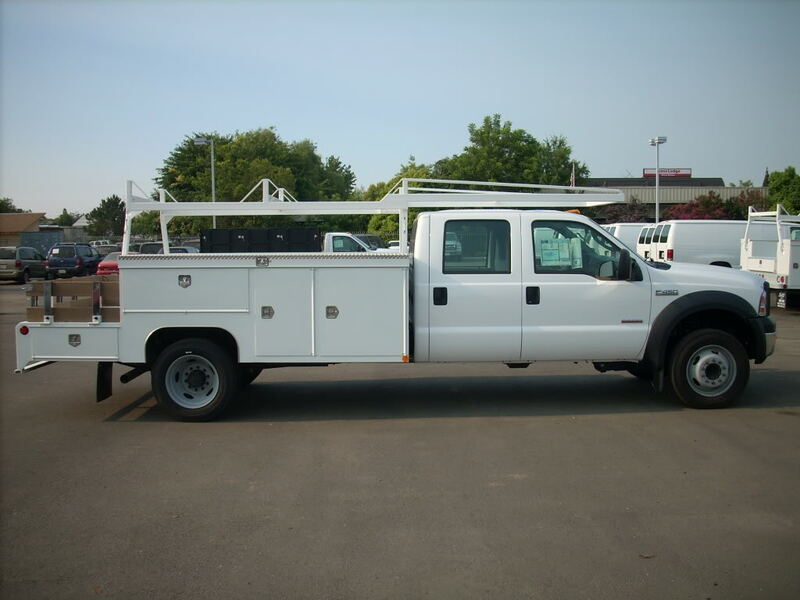 This creates a very useful body in that you have similar storage capacity of the Service Body, but the rear work area like a flatbed, hence Combo Body. 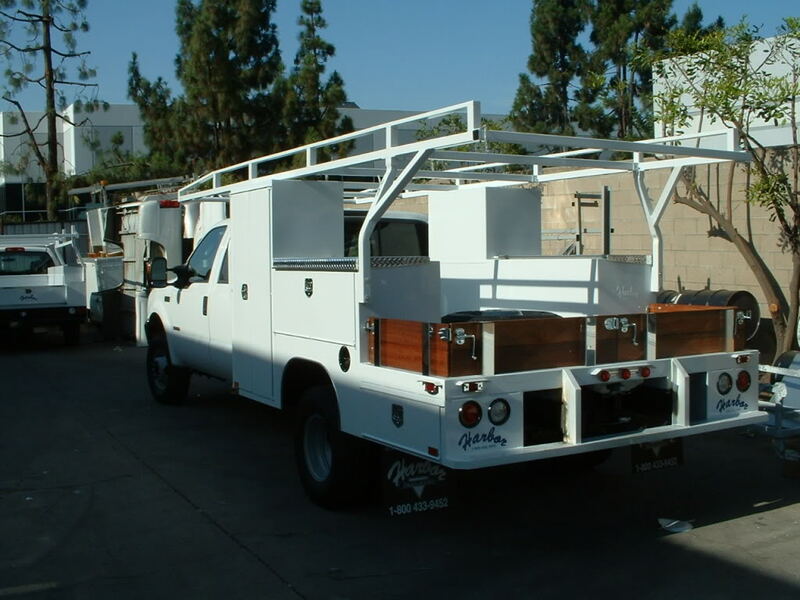 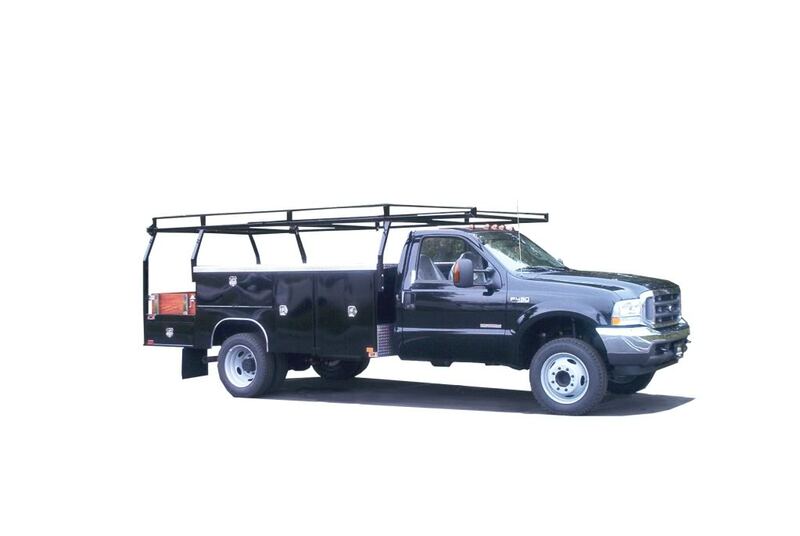 The work platform is somewhat lower than a flatbed would be so it makes it very easy to use. 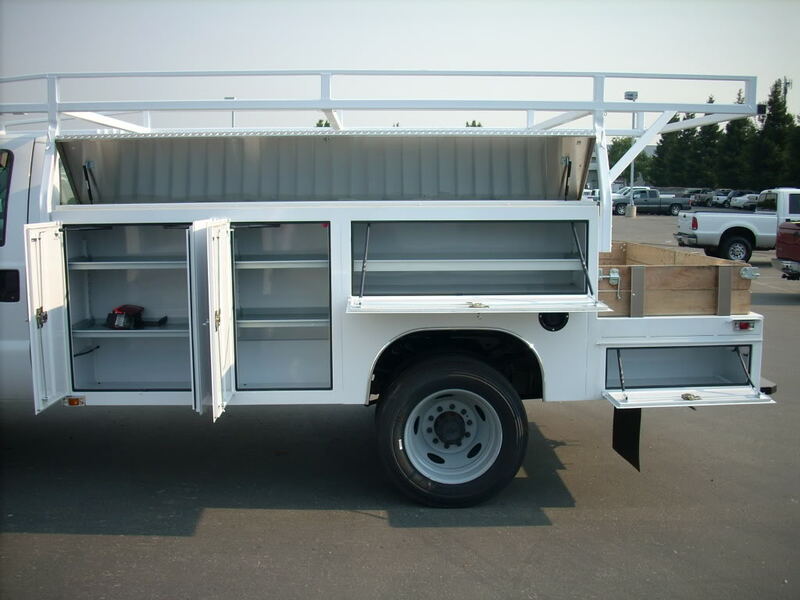 You can pull out your chop saw and go right to work, then store everything in the body when you’re done. 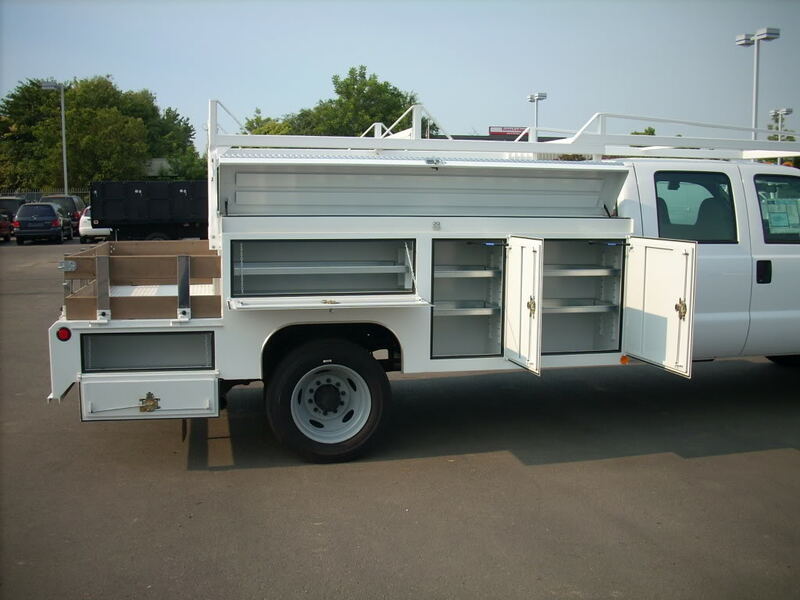 It is a great choice for a wide variety of contractors and users.